NEW BEDFORD – Thursday, October 14, 2010 – Today, Secretary of Commerce Gary Locke announced that he is prepared to issue an emergency regulation to revise catch limits when there is sufficient economic and scientific data available to support it. In addition, he indicated support for legislation that would address United States-Canada transboundary stock assessments, which would impact regulation of Georges Bank yellowtail flounder, a groundfish species of significance to theMassachusetts groundfishing fleet. In an effort to continue the progress on stock assessments, Secretary Locke said NOAA will host a national fishery science workshop in January 2011 to consider priorities and strategies needed to support full implementation of the Magnuson-Stevens Act requirements. Finally, the Secretary announced that the Obama Administration, in its commitment to improving strong stock assessment and cooperative research capabilities, will be sending a transfer request to Congress requesting reallocation of $15 million of prior year funds for stock assessments and cooperative research projects nationwide. 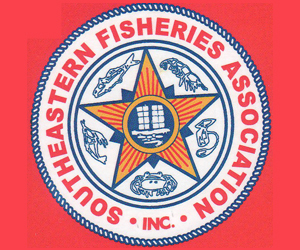 In a series of letters, phone calls, and meetings with Secretary Locke and White House officials since May, Governor Deval Patrick has called for the Department of Commerce and its agencies, National Oceanic and Atmospheric Administration (NOAA) and National Marine Fisheries Service (NMFS), to address a growing crisis in the Massachusetts groundfishing industry. The Massachusetts groundfishing fleet is struggling with severe catch limits set by federal regulators at the same time it has to adjust to a new regulatory system of “catch shares,” which is replacing the failed “Days At Sea” system. Specifically, Governor Patrick has called for a new, collaborative approach to research on fish stocks, to restore fishing industry confidence in the science governing fisheries regulation, as well as action to raise catch limits within ranges scientifically established to prevent overfishing and encourage long-term recovery of fish stocks. 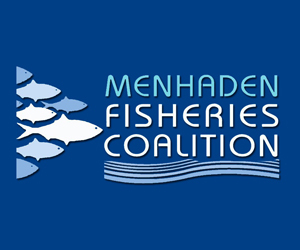 In a meeting in Boston hosted by Governor Patrick and U.S. Representative Barney Frank on September 27, Secretary Locke heard directly from Massachusettsfishermen about the impact that unduly low catch limits are having on their livelihoods. And in a follow-up letter dated October 1, Governor Patrick reiterated his earlier requests, and called for Secretary Locke to act by October 15 to acknowledge his authority to take emergency action and move toward providing relief for the groundfishing industry. “Today’s announcement from Secretary Locke opens the door to relief for our fishing communities. Catch limits set unnecessarily low are making the transition to catch shares extraordinarily difficult and putting the viability of many members of our fishing fleet at risk. 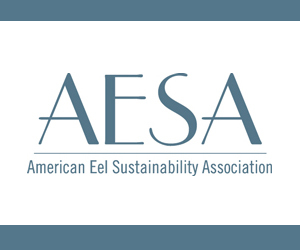 In recognizing his authority to take emergency action, the Secretary has laid a path toward greater flexibility for struggling fishing communities. My agencies are already hard at work with economists, fisheries scientists and legal experts to develop the economic and scientific analysis needed to support emergency action on catch limits. Read this story from the Official Website of the Governor of Massachusetts. BOSTON – October 12, 2010 – At the peak of lobster season in the Bay State, Governor Deval Patrick declared October 11 Lobster Day and the Massachusetts Department of Fish and Game (DFG) encouraged residents to observe it by enjoying local lobsters from their favorite fish markets and restaurants. "For generations, the lobster has provided a source of food, jobs and economic activity, and a way of life that dates back to the Native Americans and the first European settlers," declared Governor Patrick, whose proclamation also noted the value of the lobster fishery to the Commonwealth's economy, and the abundance of lobster in Massachusetts waters in early October. "Buying lobster is a great choice for its nutritional value, for its contribution to the local fishing community, and of course for its great taste," said DFG Commissioner Mary Griffin. "Massachusetts lobster is part of the new Commonwealth Quality Program, which promotes local, fresh Massachusetts food products. October is a great time of year to get an excellent quality lobster at a good price." The Seal of Commonwealth Quality, set to launch by the Department of Agricultural Resources in 2011, will distinguish Massachusetts products that meet comprehensive program requirements as well as federal, state and local regulatory regulations. The seal will appear on certified Massachusetts produce, dairy, seafood and lumber products at farm stands, farmers' markets and retail locations across the state. American lobster is low in fat, calories and cholesterol and high in protein, omega-3 fatty acids, potassium, magnesium, calcium, phosphorus, zinc and Vitamins B12, B6, B3 (niacin), B2 (riboflavin), and A. "Our fishing industry, and especially the lobster industry, is one of the largest contributors to the Massachusetts economy," said Rep. James M. Cantwell. "I am pleased Governor Patrick is acknowledging that contribution to the economy, as well as the industry's long and storied contribution to the rich history of Massachusetts and New England." The Massachusetts lobster industry is diligent in its effort conserve the lobster population. Harvesting is regulated by strict controls on licenses and traps fished, as well as biological measures to protect and conserve lobster populations, such as minimum and maximum legal sizes, and the mark and release of reproductive females. Massachusetts lobstermen are also at the forefront of efforts to protect marine mammals. Massachusetts is the first and only state to require lobstermen to fish exclusively by "sinking" line between traps in state waters, minimizing the risk of trapping whales and other marine mammals. "I would like to thank Governor Patrick and the state for the proclamation on behalf of the Commonwealth's lobster industry," said Bill Adler, executive director of the Massachusetts Lobstermen's Association. "Our lobster fishermen want to invite consumers to enjoy another taste of summer by having lobster during this fall season. Besides having a delicious and healthy dinner experience, everyone will also be supporting our Massachusetts lobstermen. Buy local, buy fresh." -In 2009, Massachusetts commercial fishermen landed more than 11.6 million pounds of lobster in Massachusetts, generating a gross income of $41.9 million. -Massachusetts' lobster fishery generated about $210 million for the Commonwealth's economy in 2009 by doing business with marine suppliers, bait dealers, lobster dealers, restaurants, retail outlets, supply manufacturers, fuel sales, boat and engine builders, banks and insurance companies. -There are more than 1,300 lobster permits issued to commercial fishermen in Massachusetts and 11,000 recreational lobster permits. A total of 49 Massachusetts ports have commercial lobster trap fishermen. -The commercial lobster fishery is the second most valuable fishery in Massachusetts, after the sea scallop fishery. -The Massachusetts lobster trap fishery is conducted by individual, small, owner-operated enterprises. -Massachusetts lobstermen have removed 3,000 miles of floating rope from waters in an effort to reduce the risk of entanglements of large whales, including the endangered Northern Right Whale, and other marine mammals. DFG is responsible for promoting the enjoyment and conservation of the Commonwealth's natural resources. DFG carries out this mission through land preservation and wildlife habitat management, management of inland and marine fish and game species, and enforcement of the Massachusetts Endangered Species Act. DFG promotes enjoyment of the Massachusetts environment through outdoor skills workshops, fishing festivals and other educational programs, and by enhancing access to the Commonwealth's lakes and ponds. 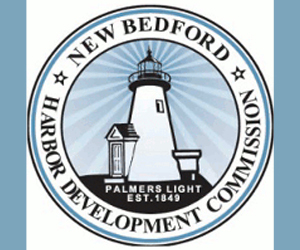 NEW BEDFORD — Gov. Deval Patrick has written to U.S. Commerce Secretary Gary Locke asking for increased and immediate help for the fishing industry and the fishing community. He thanked Locke for visiting Massachusetts and Maine last week, and praised Locke’s actions in dealing with the troubles in the NOAA law enforcement unit. He asked Locke to open a 45-day window for more fishermen, captains and owners to step forward if they think they have a case that needs reexamination. Patrick then called for similar urgency in dealing with annual catch limits, which this year are so sharply reduced that more than half the fleet hasn’t yet gone to sea. The lower limits came along with a “sector management” scheme that threatens to push many boat owners out of the business. Read the complete story from The South Coast Today. Read the letter from Gov. Patrick to Secretary Locke. BANGOR, Maine — State officials are looking to limit the number of scallop licenses in Maine by setting an entry rate of how many people have to leave the fishery before a new person is allowed in. 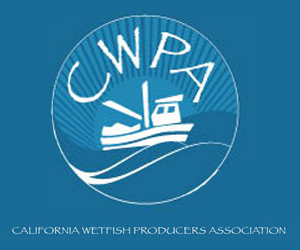 But of greater concern to many in the industry is the number of people already dragging or diving for scallops. There are nearly 900 licensed scallop fishermen in Maine, the vast majority of whom did not fish last year. 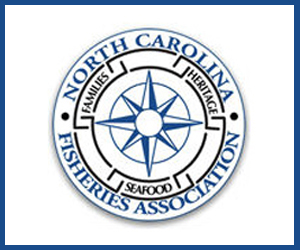 If all the license holders decided suddenly to go fish for scallops, according to members of the state’s scallop advisory council, it could put the troubled fishery under even further strain. Read the complete story from The Bangor Daily News. NARRAGANSETT, RI – August 19, 2010 – Rent is due for 28 commercial fishing vessels in Galilee that were served eviction notices by the state Department of Environmental Management on July 20. The eviction notices are one more sign of the economic pressures facing the port's fishermen. 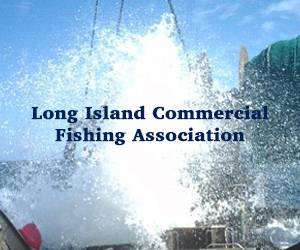 "There is a financial problem here that needs to be addressed with the fishing industry," said Richard Fuka, president of the R.I. Commercial Fishermen's Alliance. "It's quite disturbing that they are all commercial boats." Tina Jackson, president of the American Alliance of Fishermen and their Communities, erroneously received an eviction notice on her fishing vessel, the Tina Marie, after paying for a temporary second slip for a new boat while she hauled out her other. She said the eviction notices could be seen as a red flag. "If in fact there is a high number of evictions served to commercial fishing boats, it is a direct result of the new catch share management program not working," Jackson said. Catch share management, which allocates a specific portion of the fishery to a certain party, was implemented in the spring. The allocations are based on previous catch history and are designed to prevent overfishing, but fishermen say the methods and science behind the program are flawed and the fish allocations too low. Larry Mouradjian, associate director of DEM's Bureau of Natural Resources, said the eviction notices are standard administrative practice, handed out every year to delinquent accounts. With the commercial fishing fleet struggling under unprecedented restrictions and reportedly facing widespread insolvencies, Gloucester's elected political leaders have called a Friday morning meeting with industry representatives to examine a $150 million emergency economic aid proposal from U.S. senators, led by John Kerry. Because the aid package includes a buyout component — a one-way ticket out of the commercial fishing business — the proposal is seen by some as helping some individuals while weakening the parent port economy, possibly threatening the survival of essential elements of the infrastructure. In addition, many advocates of the buyback component in the package — now, merely a political idea rather than legislation or a fleshed out economic plan — privately acknowledge worrying that the initiative suggests surrender to the Obama administration's fisheries leadership. Read the complete story from The Gloucester Daily Times. MACHIAS, Maine — Only seven Down East scallop fishermen attended a public hearing Tuesday night to express their approval of proposed new dates for scallop fishing, closure regulations and limiting scalloping to Monday through Friday. It was the second hearing in two days; two more will be held this week. Togue Brawn and Laurice Churchill of the Maine Department of Marine Resources are conducting the hearings in four locations up and down the coast. The first hearing was held in Yarmouth Monday night; the third meeting will be held at 6 tonight at State Ferry Terminal in Rockland; and the final hearing will be at 6 p.m. Thursday, Aug. 12, at City Hall in Ellsworth. Written comments will be accepted by DMR until Aug. 23. NEW BEDFORD, Mass. – August 6, 2010 – Writing in "[w]ith great respect and in the spirit of a true partnership" New Bedford, Massachusetts mayor Scott Lang told Commerce Secretary Gary Locke that his recent letter to the Mayor reinforced Mr. Lang's belief that NOAA's "catch share program was put in place prematurely, without the planning, analysis, and exploration of alternatives commonly required in major federal actions." Mayor Lang said "shortfalls in planning are already generating unfair treatment, job loss, welfare costs, and resource waste, and pointed out that "added costs, and job loss are not acceptable in these troubled economic times." The Mayor is critical of the Commerce Secretary's suggestion that evidence suggesting that this year's catch is on par with last year's is evidence of success of catch shares." You state the catch this year is on par with the catch last year. But the Gloucester Daily Times reported that “Over the first 21 percent of the fishing season — May 1 through July 17 — the part of the fleet organized into sectors had landed only 6.5 percent of what it was allocated to catch for the year in the mixed groundfish stock complex.” However, even if this season’s landings matches last year’s catch for this time frame, this is hardly a success when we realize that last years catch was only about 20% of the TAC available last year. It seems clear that catch shares this year are performing no better than days-at-sea did last year." Referencing the Secretary's recent announcement of a six-fold increase in the Pollock allocation, the mayor asked why "with the obvious importance of pollock was it not subject to the same scientific assessment that revealed it was six times more abundant than originally thought before the initiation of the catch share program?" The mayor argued that "catch shares never should have not been implemented without current stock assessments being ready," cited problems with the skate assessment, also noted that the Secretary's "reference to dogfish and red crab limits do not support NOAA’s assessment capabilities." The mayor noted that "good public policy would require forecasts of the performance of the program before it is promulgated". He urged that any proposed buyback program "be carefully thought out and implemented with precision" noting that "otherwise dire unintended economic and social harm will be the end result". Finally, he thanked the Secretary for his support of cooperative research programs. Read the mayor's letter in its entirety. Elected officials in Massachusetts and other states are putting renewed pressure on the Commerce Department to force changes in the way the fishing industry is regulated in the Northeast — in one case taking it all the way to President Barack Obama. The news that disgraced former NOAA law enforcement chief Dale Jones is still somewhere on the NOAA payroll has infuriated many in and out of the fishing industry. Three members of Congress — Reps. Barney Frank and John Tierney, D-Mass; and Walter Jones, R-N.C. — sharply criticized NOAA for that action, saying that Jones ought to be gone after prosecutorial misconduct on his part was uncovered by an inspector general investigation. The three said in a joint press release that they intend to call for congressional hearings into the Jones matter. New Bedford Mayor Scott W. Lang, meanwhile, continued his exchange of letters with Commerce Secretary Gary Locke, whom the city has sued in federal court over the new sector management system and catch allocations. Gov. Deval Patrick jumped in with a radio interview at WBSM-AM. Noting that he, too, has written to Locke trying to "pierce the veil of the administration," Patrick stressed the need for the National Oceanographic and Atmospheric Administration to not only use the latest science, but to perform that science in tandem with industry-affiliated scientists such as those at UMass, who several years ago upended NOAA's scallop policies with research demonstrating that the old assumptions were all wrong. Finally, Rep. Stephen R. Canessa, D-New Bedford, wrote a two-page letter to Obama, giving him a brief description of the city's fishing history and the problems it now faces, and inviting him for a visit during his vacation stay later this month on Martha's Vineyard. Rep. Stephen R. Canessa, D-New Bedford, wrote a two-page letter to Obama, giving him a brief description of the city's fishing history and the problems it now faces, and inviting him for a visit during his vacation stay later this month on Martha's Vineyard. 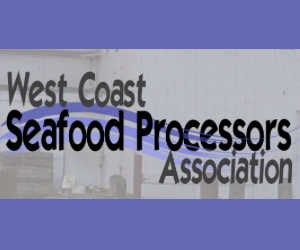 "The level of contempt and animosity that many fishermen feel toward NOAA is deep and not likely to alter without a game-changing effort to re-engage in constructive dialogue. For the sake of a thriving New England fishing industry, this adversarial and unproductive relationship cannot be allowed to continue," Canessa wrote. Read the letter Canessa wrote to Obama.